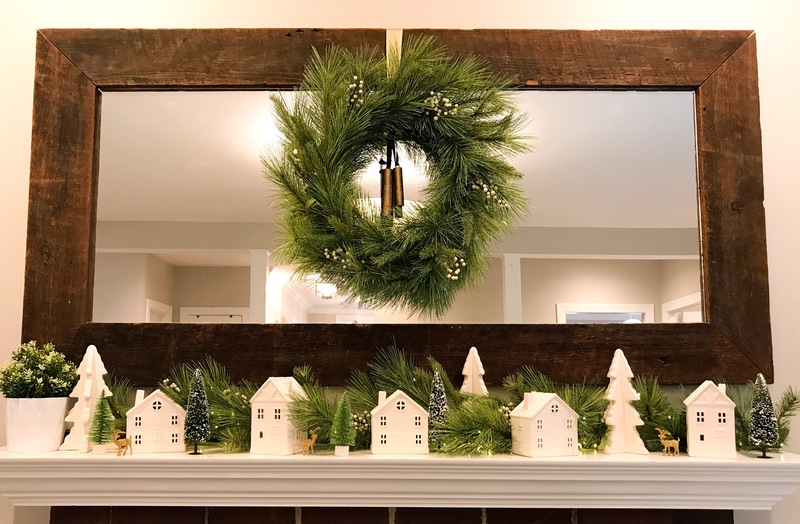 We created this simple and affordable holiday mantel with a few things that we picked up from Target and Michaels. 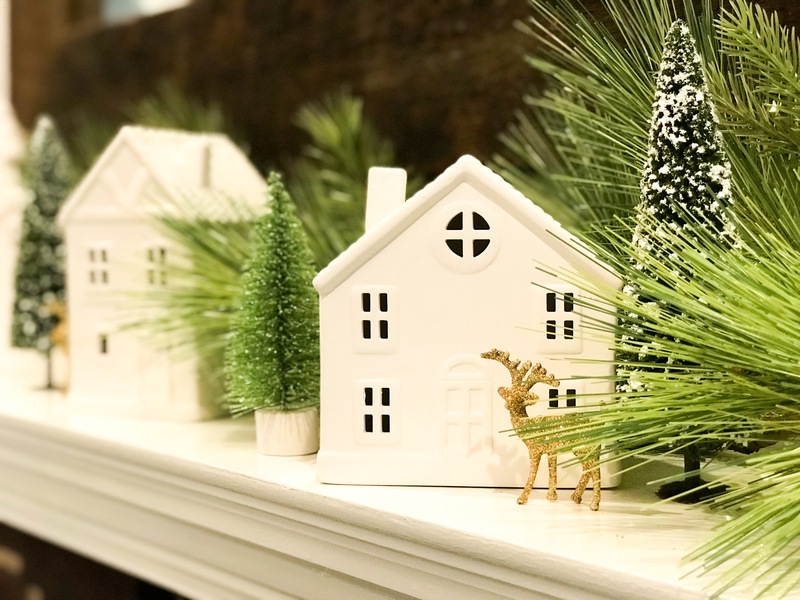 Layer different materials like garland, miniature trees and ceramic houses to create depth. 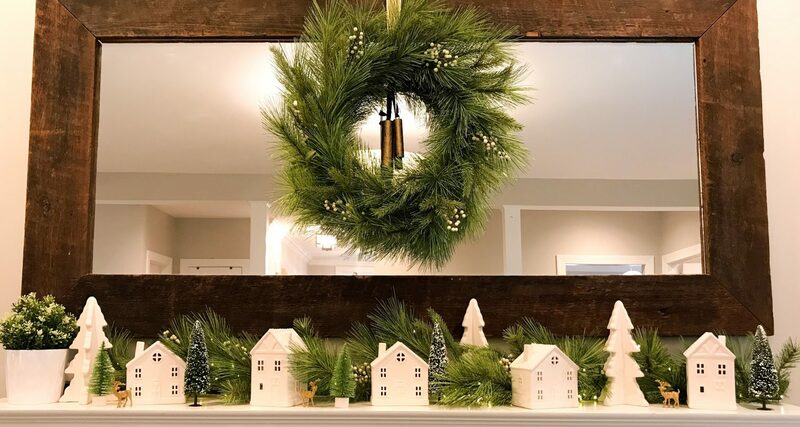 Try to incorporate like materials in odd numbers. 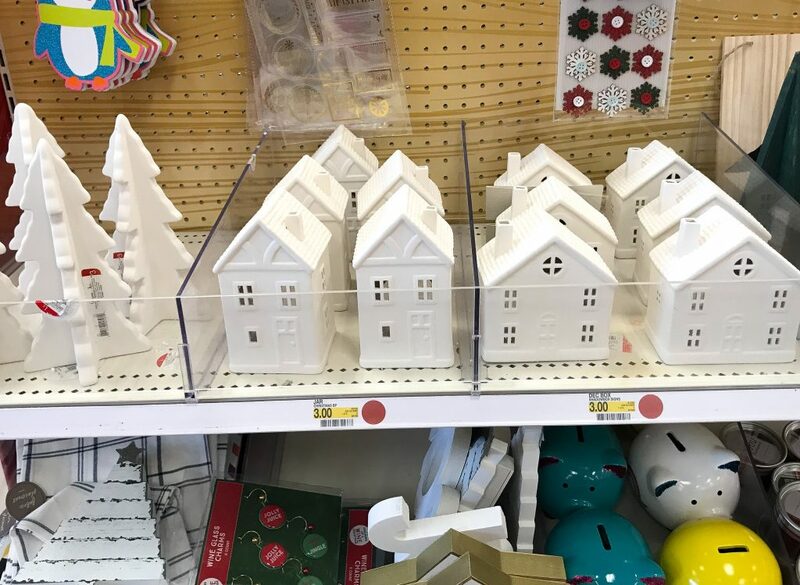 We found our white ceramic trees and houses at our local Target Bullseye’s Playground (the couple of aisles at the front of Target that used to be called the dollar spot) for $3 each. If your Target is sold out of these, there are similar ones available online here and here.